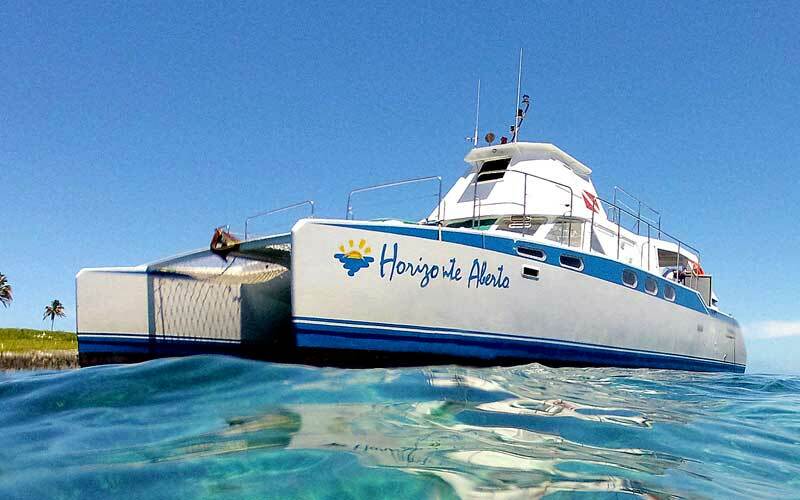 The Horizonte Aberto Catamarans are safe vessels, with all the equipment required by the Brazilian Navy and ICMBio (Chico Mendes Institute of Biodiversity Conservation) to operate in the Abrolhos National Marine Park and trained crew to provide you with all the necessary comfort during your ride. The Horizonte Aberto catamaran measures 16 meters and has capacity for 30 passengers in the daily tours. It has a large covered area with full kitchen, dining tables and bathrooms. On overnight tours, it accommodates 11 passengers arranged in a master double suite, a double suite with bunk beds, two standard double cabins, a standard triple cabin with bunk beds, a bathroom that caters to standard cabins. 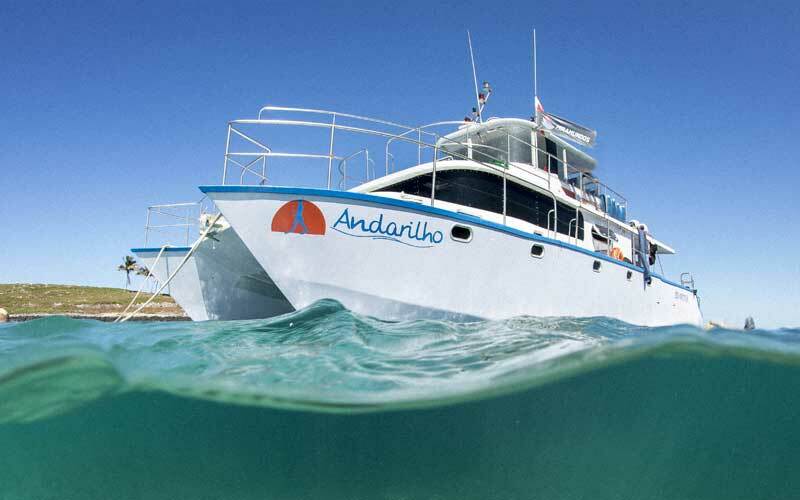 The Andarilho catamaran measures 16 meters and in the daily tours has capacity for 35 passengers. Large covered area with full kitchen, dining and living area, table and sofa, an outside bathroom and a dining table in the stern. On overnight tours the boat accommodates up to 12 passengers arranged in two double suites, two double suites with bunk beds, two standard double cabins with bunk beds. 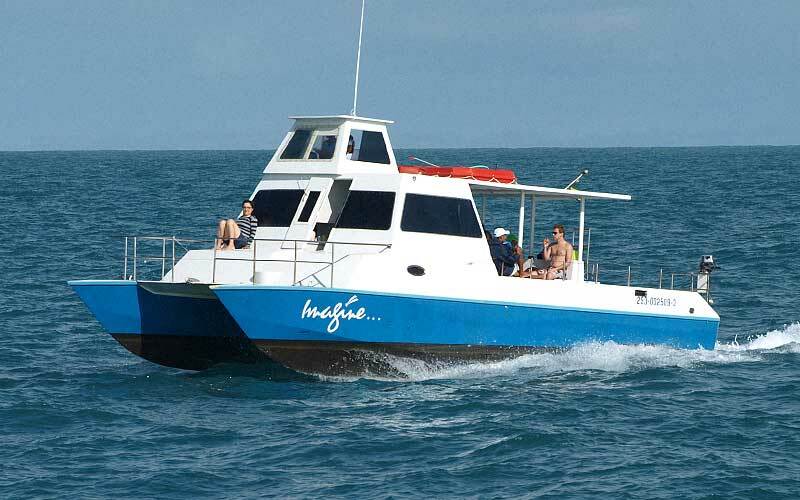 Just for day trips, the Imagine catamaran measures 12 meters and has a capacity of 25 passengers. Covered area with kitchen, dining tables and two bathrooms.